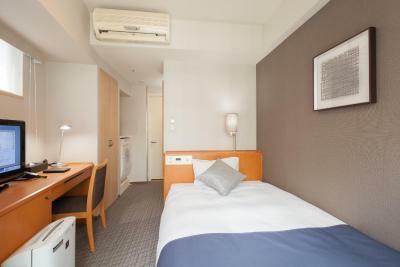 Lock in a great price for Tokyu Stay Shibuya Shin-Minamiguchi – rated 8.3 by recent guests! Very near the Shibuya Station New South Exit, which is the location of Narita Express Platform. The room was large and spacious, and the wifi was strong and fast. The staff was helpful, and the location was convenient. They also offered an in-room washer, which made life very easy. 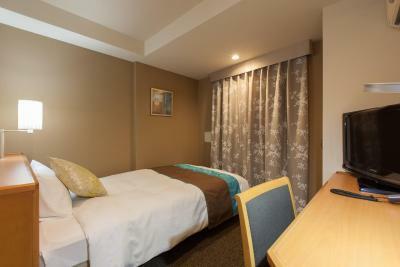 Great location with only a few minute walk to Shibuya station and a convenience store at the base of the hotel. Was able to do laundry and room was actually bigger than I have had in Tokyo before. Staff was nice enough to help me with an early check in although it does cost extra. 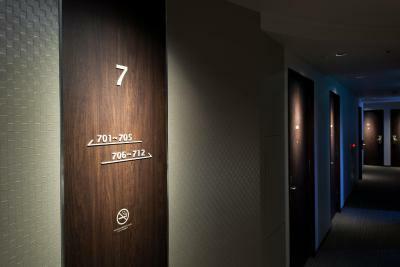 Awesome location walk from Shibuya crossing, huge rooms & amenities, (for Japan), and very helpful staff. Surprisingly affordable too. Staff was friendly and helpful. Bed was comfortable. Loved the shower water pressure. Incredible how many things were crammed into such a small room! 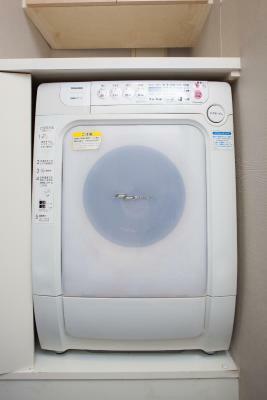 Washing machine was very hand and free detergent was given on arrival. Everything very clean, location great and staff super helpful when I couldn’t work out the Japanese control panels!! Very near the train station so it’s very convenient. There’s also a giant Family Mart on the ground floor. The room itself is quite comfy and relatively roomy with complete amenities — study, washer/dryer, electric stove, microwave, etc. 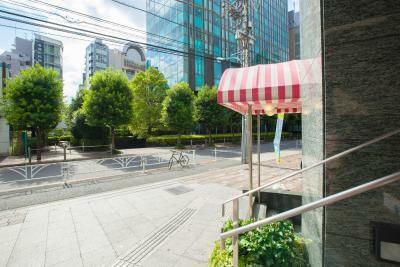 Prime location in Shibuya very close to the Shin-Minamiguchi, around 5-7 minutes walk. It was perfect if you have to take N'EX from/to Narita Airport. The station platform is right by there. But with the construction going on in the area, it was hard to get to the middle of Shibuya, probably 10-15mins walk. 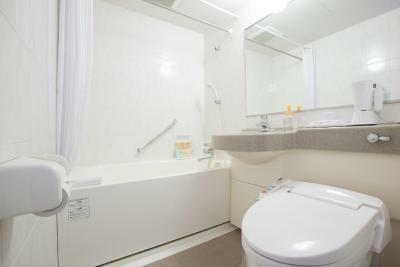 Very well located, nearby the famous Shibuya crossroad and JR station. Very spacious room, with everything one can need. The washing/drier machine in the room is a great treat. I will definitely come back here any time I’ll need to stay in Tokyo. The apartment style is perfect! It even has sleeper! 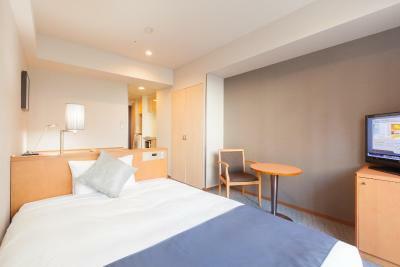 Tokyu Stay Shibuya Shin-Minamiguchi This rating is a reflection of how the property compares to the industry standard when it comes to price, facilities and services available. It's based on a self-evaluation by the property. Use this rating to help choose your stay! 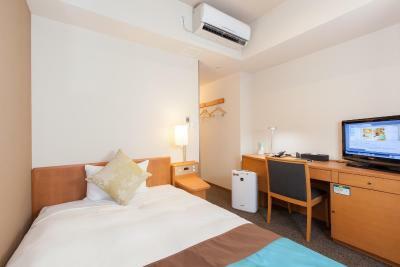 Only a 1-minute walk from the Shibuya Station, Tokyu Stay Shibuya Shin-Minamiguchi offers modern apartment-style rooms with a kitchenette and an in-room washing machine. All rooms went through thorough renovations in September 2012. Free Wi-Fi is available at the entire property. 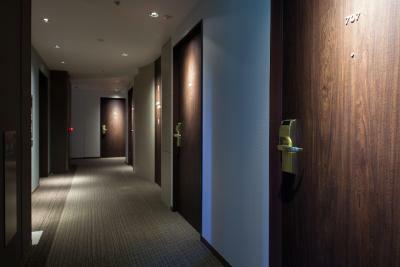 The air-conditioned rooms feature a flat-screen satellite TV, a safety deposit box and a washing machine. 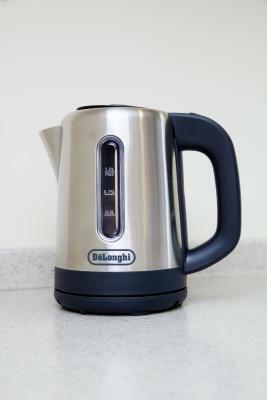 The kitchenette comes with a fridge, a microwave and an electric kettle, and kitchenware is provided. The private bathroom has a hairdryer and free toiletries. 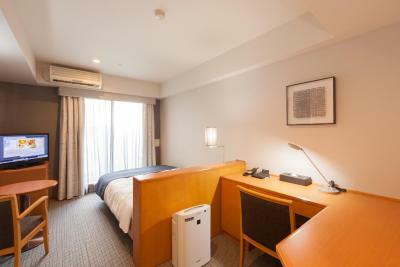 Shin-Minamiguchi Shibuya Tokyu Stay Hotel is within a 10-minute train ride from lively Harajuku and Shinjuku areas. Meiji Jingu Shrine is a 15-minute drive away. Roppongi Hills is a 10-minute drive from the property. Dry cleaning, photocopying and couriers services are available at the 24-hour front desk. Free luggage storage is provided as well. Japanese and Western dishes are offered for breakfast at Jonathan restaurant between 06:00 and 10:00. Shibuya Ward is a great choice for travelers interested in shopping, food and friendly locals. 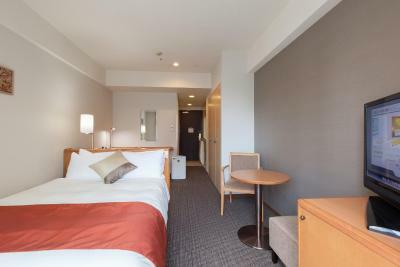 When would you like to stay at Tokyu Stay Shibuya Shin-Minamiguchi? 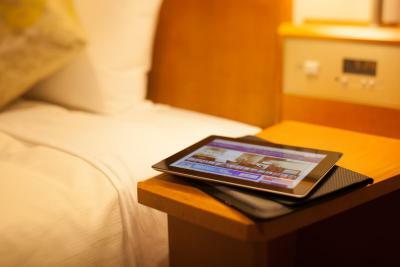 This small double room comes with 1 semi-double bed (55 in wide), a washer/dryer, a kitchenette and free Wi-Fi/wired internet. 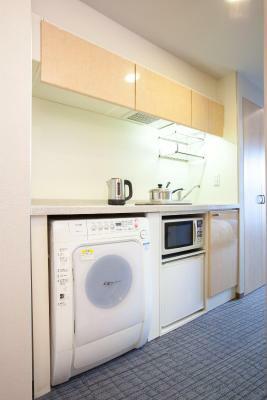 This double room features air conditioning, washing machine and electric kettle. Hotel surroundings – This neighborhood is a great choice for travelers interested in shopping, food and friendly locals – Check location Great location - show map Guests loved walking around the neighborhood! 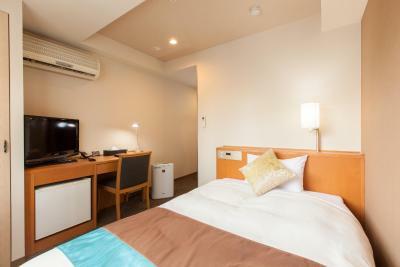 House Rules Tokyu Stay Shibuya Shin-Minamiguchi takes special requests – add in the next step! Tokyu Stay Shibuya Shin-Minamiguchi accepts these cards and reserves the right to temporarily hold an amount prior to arrival. 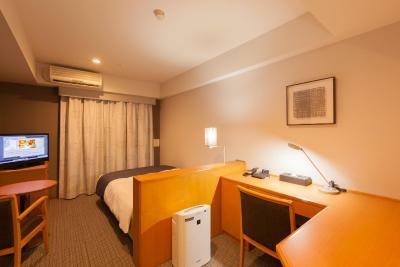 There are 2 Tokyu Stay properties in Shibuya area. Please check the property name and address before arrival. Location was perfect for cisiting my companies office across the street. Breakfast was nothing special - just OK. 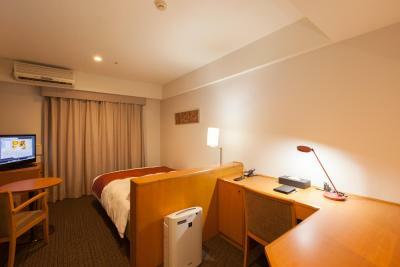 Although room is very small, it is complete with facilities. And very good breakfast at Jonathan. Stayed at this hotel everytime i visit tokyo. No complaints. On the other side of Shibuya to the main happenings. A bit of a walk to get there. We did not check the fine print that says check out was at 11am. We were packed but decided to walk around and planned to check out at 12 noon. When we got back we were surprised that we were being charged the extra half day because of this violation. We asked for reconsideration since we were not made aware of the check out time. We appreciate tha our request was granted. Thank you Tokyu Stay! I would recommend folk to stay here if they have that option. I paid upfront for breakfast each day at Jonathan's restaurant (a separate establishment, but just under the day). The selection wasn't really to my taste - next time I'd eat out for breakfast (or bring something to my room). This is the second time I've stayed at this Tokyu stay hotel - and I think the rooms and decor have been improved since my last stay. 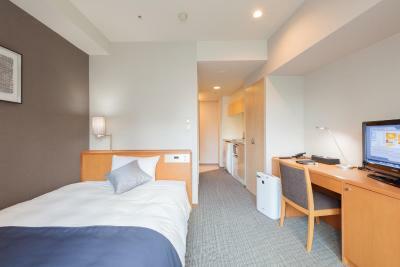 Location is fantastic - right next to Shibuya South Exit (less than 5 minutes walk to the Narita NEX train) and only 10 minutes walk to Shibuya Crossing. This whole area has seen a lot of development over the last few years, and there are lots of good restaurants nearby. I chose this hotel due to the small kitchen and washing machine in the room. It's fantastic for a slightly longer stay for this reason. It was great to be able to wash stuff - plus I enjoyed making a few meals for a change. Perfect location: you can walk at any time to Shibuya Crossing. Close to theatres, shopping malls, metro and train. Very quiet part of Shibuya, suitable for your rest after spending your day in Tokyo. Very friendly staff that does extra mile to make your stay perfect! Big big thank you! Washing machine (with drying function) in the room is a life saver! Every day you have fresh clean clothes, no need to go somewhere and wait in a queue or bring twice extra clothes with you. Breakfast option in Jonathan's Coffee & Restaurant is so helpful: you wake up, you ride on elevator to first floor, you have a breakfast (just choose what you want from few different versions). Breakfast is always fresh and tasty! Coffee, tea, soft drinks - go and take as much as you need! Finish your breakfast and you are full of energy and ready to explore Tokyo! Convenience store (FamilyMart) in same building with always fresh food and snacks, water, drinks, sweets and other stuff just in case you need anything was also helpful. Cost extra each hour prior to regular checkin at 1500. Washer/dryer was nice but definitely not easiest to use. Lots of construction at Shibuya station made the walk a bit longer to the crossing, but not a big deal. although the property was near Shibuya Train Station, it was quite a long walk from the main station to the station exit. staff didnt look very helpful. It was a little pricey for what it was in terms of decor inside the room/size but the location was very good. The location was excellent. Breakfast in the restaurant next door was also good value when purchasing a ticket from the hotel. Also liked how the room had a washing/drying machine and kitchen area, however I didn't use the kitchen facilities. Everything is perfect. We liked it. 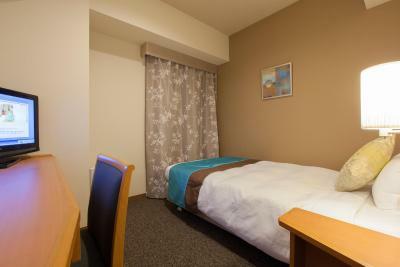 Location is great - it’s 1 min walk from the New South Gate of the Shibuya JR station. There is a 24hr family mart convenience store which is so handy. Staff is so friendly. The reception is open 24/7 so there is no issue getting yourself settled in immediately. We booked the small double room for 6 nights - large enough for two of us. The washing machine is very useful. I would come back again and stay here when I visit Tokyo next time.